It’s time to share my favorite Netflix shows with you guys. Oh how I would’ve loved to add House M.D. to this category, but sadly they took it down in the first week of September, which means that I can’t share this 8 seasons, 20+ episodes each counting tv show binge with you (it took me around 3 weeks to get through it, binge worthy? Yeah, it is). I have to thank my father for my Netflix subscription, since he’s the one that bought a smart tv ‘so we can watch Netflix in our living room’ (and because the quality is just way better than the tv we had before, but lets just focus on the Netflix aspect cause that sounds more fun, right?). Anyway, since then I’ve became a full-on Netflix addict. In this post, I’ll just give you guys an idea of three of the shows I’ve binged through! Oh how I envy the amazingly talented Tatiana Maslany. In Orphan Black, she manages to portray so many different characters that you basically just forget that it is the same actress. When I started with Netflix, a friend of mine said I had to watch this show and I, being me, went through it in approximately 1 week (what is study, right). It’s thrilling, funny and complex and keeps you hooked right until the end of season 4 (the point where you begin to cry, since you have to wait a whole year for season 5 to come out. As always: damn you, Netflix). 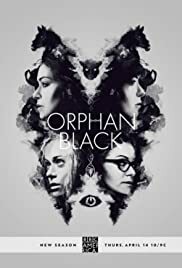 Orphan Black is one of my favorite shows on Netflix and there will never be a time that I won’t cheer you on when you start watching it (so go watch it. Now). Talk about binge watching. I spend three weeks in the summer of 2015, watched about 10 episodes a day and fell into a hole after I was done, because I didn’t know how to replace this easy to watch, funny as hell and simply amazing sitcom. The episodes are each a story on it’s own, placed into a bigger storyline, but not in a way that you need to watch each episode to know what’s happening (even though I suggest you do, obviously?). Just watch it, enjoy it, and find yourself binging away even though you told yourself to ‘just watch one episode’ (they’re pretty short so it’s tempting, I know).